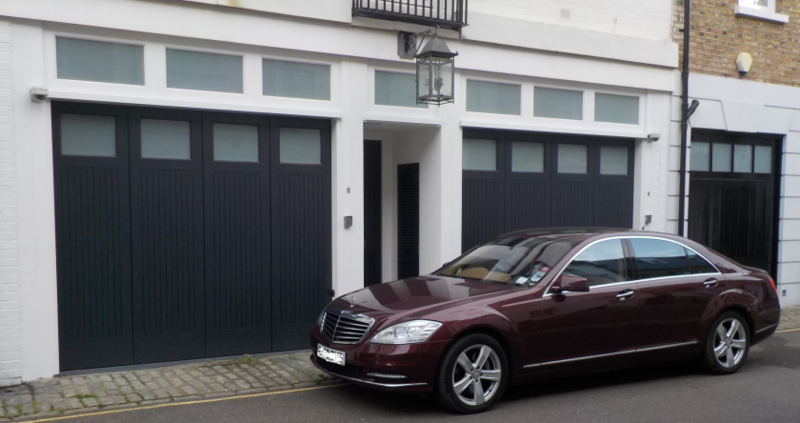 Premier Gate Automation are leading specialists in round the corner garage doors. We are well placed to install and maintain in London, Essex, Kent, Surrey, Hertfordshire, Suffolk, Cambridgeshire and Sussex. 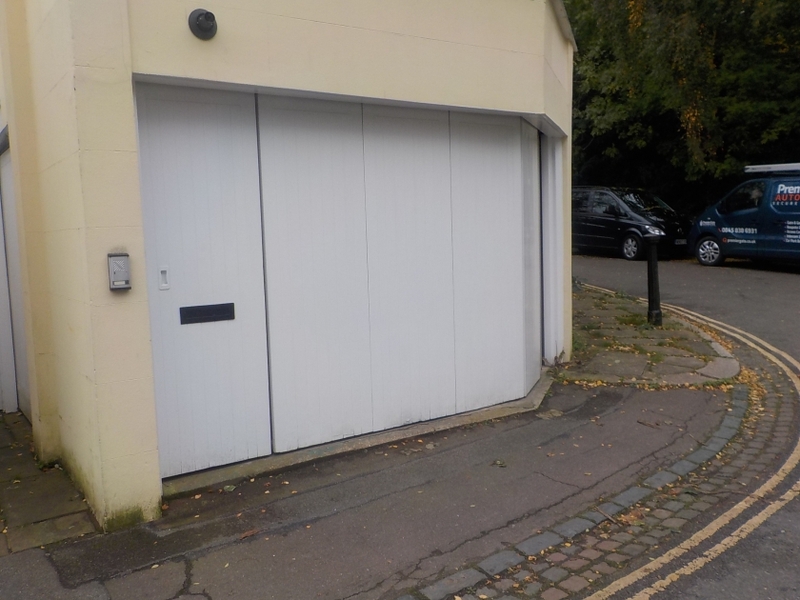 Round the corner garage doors (also known as side sliding garage doors) are a perfect solution when internal headroom is minimal, or to optimise headroom for larger vehicles, as no height is lost when the door is open. 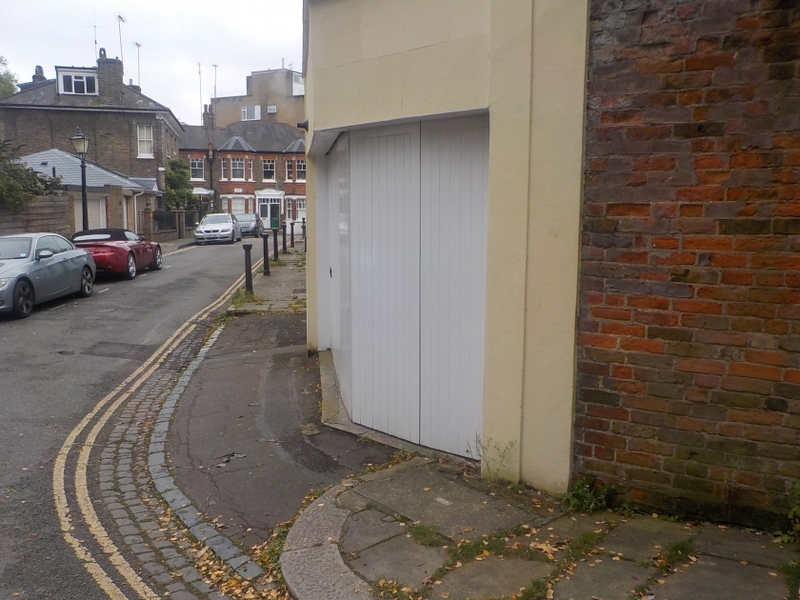 The doors slide back around the walls which is also advantageous; as the door doesn’t swing out in front of the garage, you can park right up to the door. 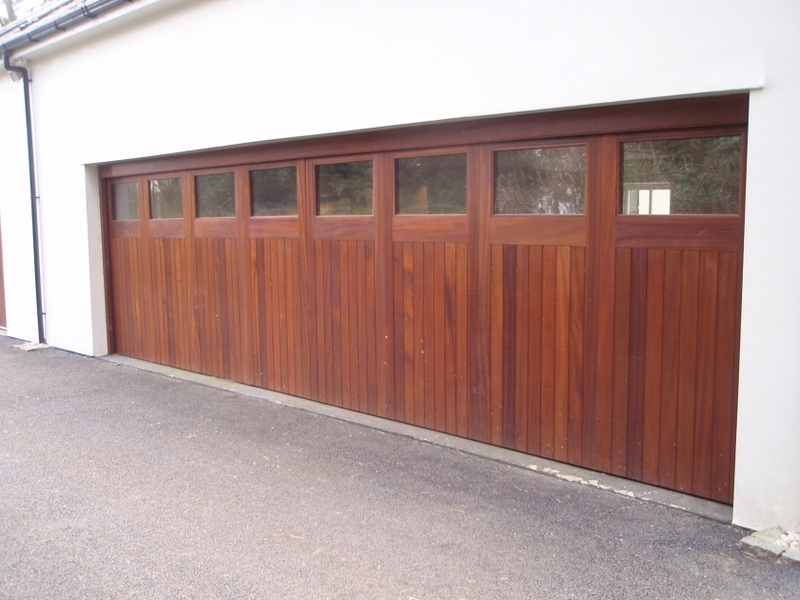 The side opening sectional door offers superb visual and technical solutions. 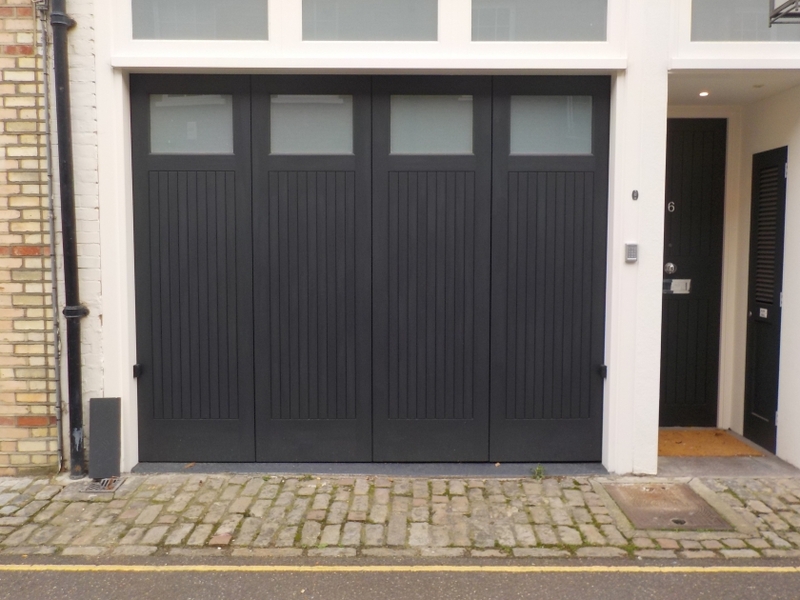 Although this is not an inexpensive type of automated door, the cost of a round the corner door is far outweighed by the benefits of excellent utilisation of space, safe operation, not protruding over a property boundary line such as in a mews and we have installed many systems in areas such as Knightsbridge, Chelsea and Belgravia. 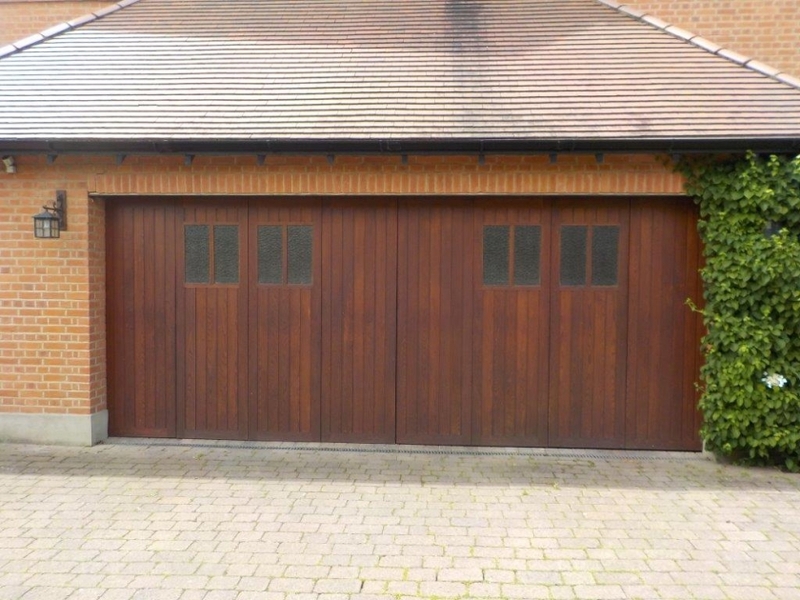 All round the corner garage doors are made to measure and can accommodate virtually any size of garage. Premier Gate Automation will work closely with you to design, manufacture and install a round the corner door system that will suit your needs. Do you have a project which is unique and requires something more than a standard specification? Premier Gate Automation pushes boundaries to engineer bespoke solutions. From inception to completion, our dedicated team are with you every step of the way. Our doors are handcrafted by skilled craftsmen. This gives you the flexibility to have any design that you like, and the option of them being entirely bespoke.